Easter Dinner is Done!Click to view Easter Menu. Spring & Summer MenuNew, seasonal items now available! 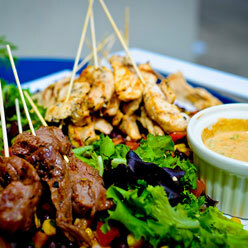 Catering for all occasions!Click to view menus. Fully prepared meals to go.Simply pick up, reheat & enjoy! Our gourmet to go option lets you experience a fresh, delicious meal for two in the comfort of your own home. Just heat and eat! 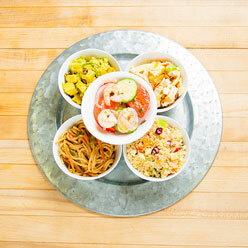 Stop in and select one of our fresh gourmet meals. Pop it right in the oven—no need to change containers. Plate your delicious meal for two and enjoy your dinner! We prepare the food, you heat and serve. We prepare and deliver food ready to serve. We prepare, deliver and serve. 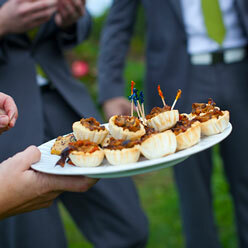 We can cater any family, corporate or special event, with your choice of three levels of service. Too tired to cook, not in the mood for a restaurant, or just feel like enjoying a delicious fresh meal without all the fuss of shopping and preparation? La Piastra Gourmet To Go & Catering is the perfect solution, offering a wide variety of take-out options that are fresh and ready to heat and serve, plus full catering options for your special events.